I was flattered to be asked to draw and ink an alternate comic cover for Canadian writer and filmmaker, Pasquale Marco Veltri. 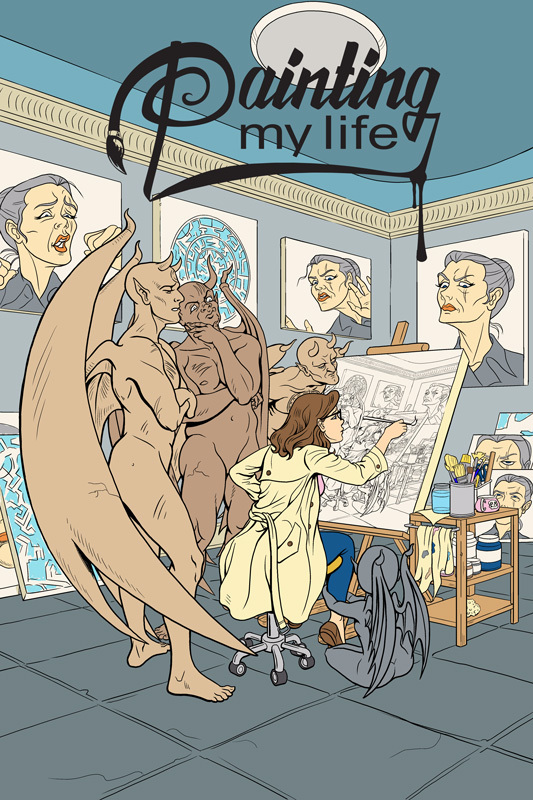 He wanted the cover for the preview issue of his graphic novel, Painting My Life, pencilled and inked by Ian Wright and coloured by Jorge Cortes. 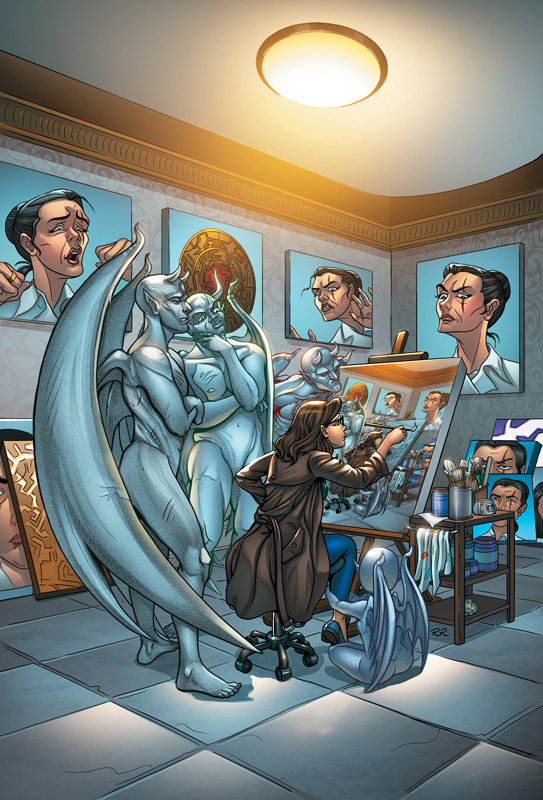 The creative brief I received was to have the main character, Alice, seated in the centre of a room, painting herself and everything in the room on canvas while gargoyles watch attentively nearby. He wanted the painted scene to be repeated in the painting within the painting. To increase the level of unease, he wanted the painting of the old woman on the wall to be repeated on most of the canvases, watching Alice work with varying levels of disapproval or dismay. This was a challenging image to work on because of all the elements and expressions. Because I'm a huge fan of animation and anime I took inspiration from some of my favourite shows and movies when designing the characters while trying to maintain the main characteristics of the characters I drew. A mirror was always at hand while I acted out some of these poses and expressions! 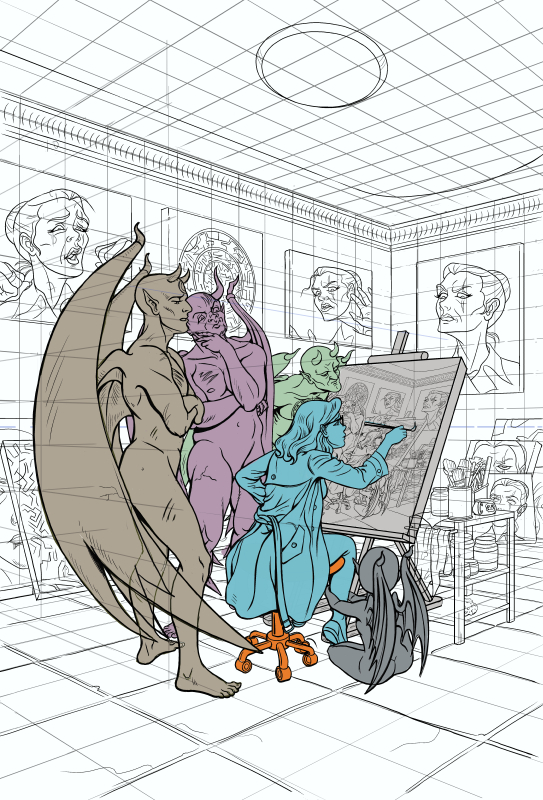 While drawing this out in Clip Studio, I ended up adding in some flats for my own purposes to help me separate the foreground from the background. 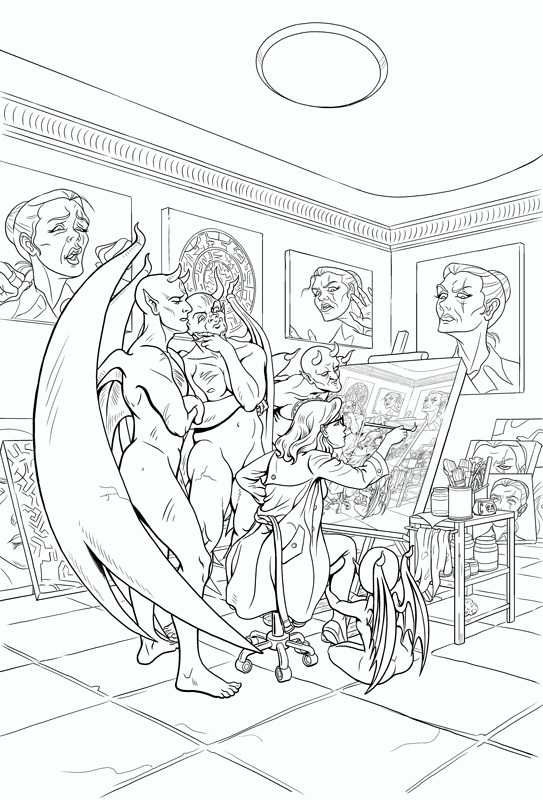 I'm not a typical penciller laying out shading and heavy inks because I often colour the page myself and so I was a little worried whether my pencils had enough information for the colourist but my fears were unfounded as he did a fantastic job! 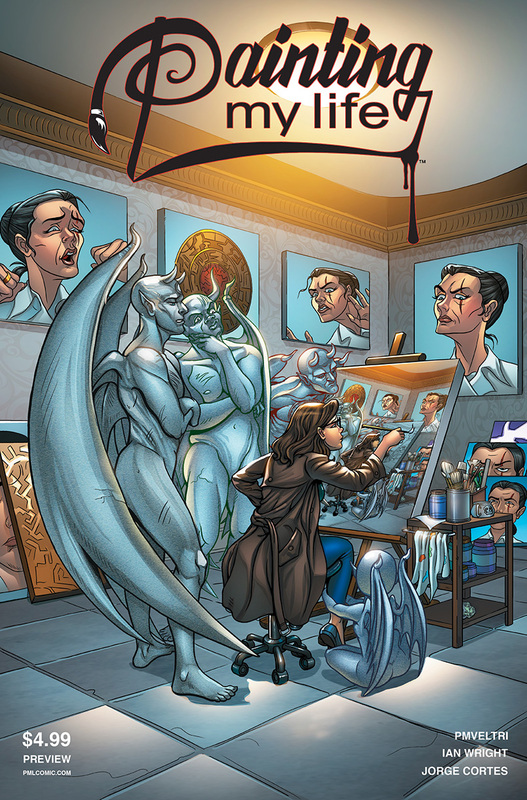 When I saw the finished version, I was surprised that his colour scheme was actually similar to my working flats. When I did my flats, I thought it would be nice to colour it later but then another project came up and it didn't look like I would have the opportunity anytime soon.